Fab Friday Flowers are a lovely little treat for a friend or yourself. 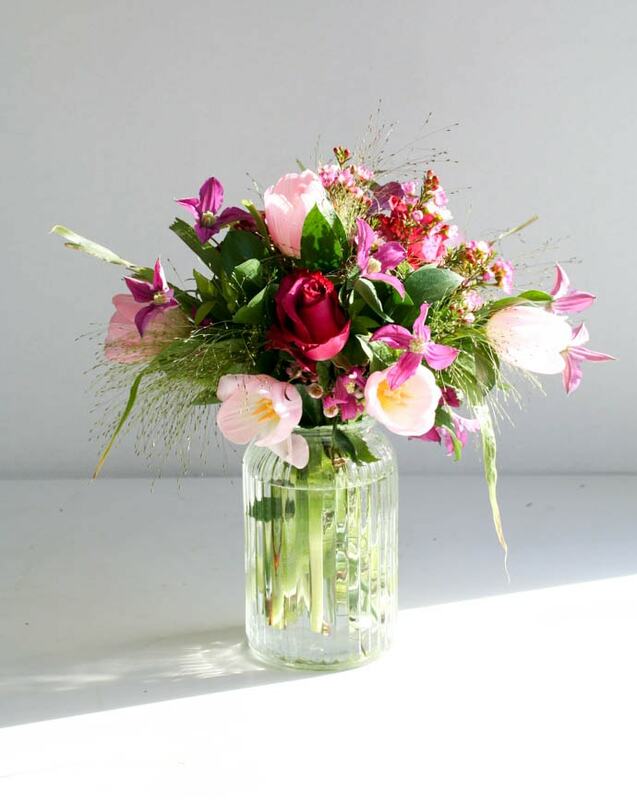 These are last week’s flowers…a gorgeous mix of tulips, roses and clematis. Treat yourself to a bunch next week…go on bring some Fab to your Friday.